An approach to Aiki through simple mechanical principles. 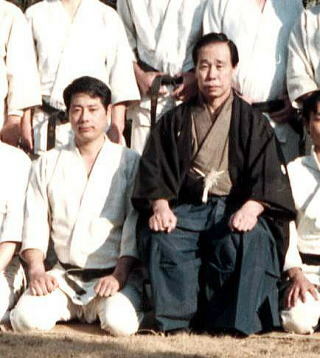 Masaru Takahashi (高橋賢) began training with Yukiyoshi Sagawa on May 5th of Showa year 47 (1972), and continues to instruct at the Sagawa-den Daito-ryu Aiki Budo Sagamihara branch dojo (佐川伝大東流合氣武道相模原支部) and at the Daito-ryu Sagawa Dojo hombu (大東流佐川道場本部) in Kodaira city. He also runs an acupuncture clinic in Sagamihara City, and teaches Taiji as taught to him directly by Ryuchi Matsuda (松田 隆智), a well known Japanese researcher of Chinese martial arts and author of a popular Japanese manga called “Kenji”. 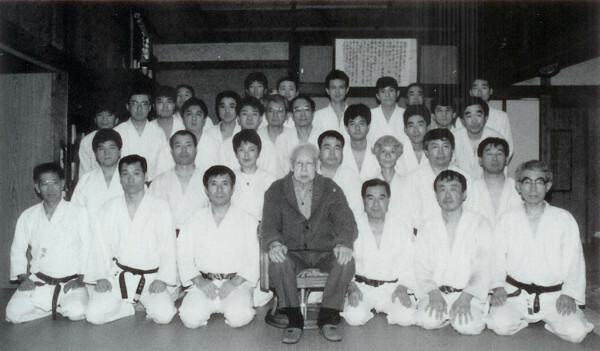 Yukiyoshi Sagawa became a student of Daito-ryu Chuko-no-so (“Interim Reviver” / 中興の祖) Sokaku Takeda somewhere around 1913 – some three years before Aikido Founder Morihei Ueshiba would meet Takeda at the Hisada Inn in Hokkaido. Sagawa’s father Nenokichi (佐川子之吉 1867–1950) was a long time supporter of Takeda, and was actually present at the Hisada Inn when Ueshiba was introduced to Takeda by Kotaro Yoshida. 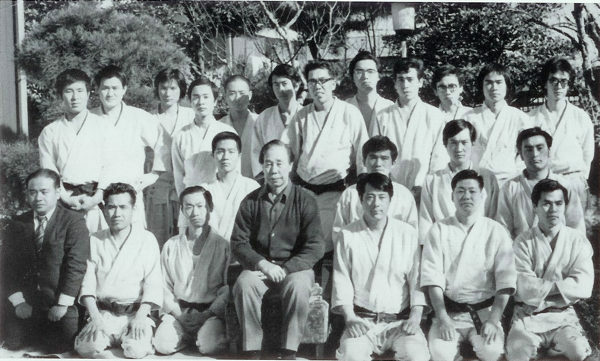 Takahashi sensei is a frequent contributor of articles researching the Japanese martial arts and Daito-ryu to the monthly Japanese Budo magazine Hiden (月刊秘伝), published by BAB Japan (“BAB” stands for “Budo and Bujutsu”). He is also the author of a book on Chinese Qigong, 中国秘伝の秘伝術気功法, which has been translated into English and published as “Qigong for Health“. 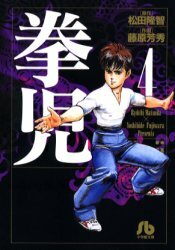 This article is the second part of an excerpt from Takahashi sensei’s book “The Truth of Daito-ryu Aiki” (大東流合気の真実), which was published in Japanese by Fukushodo Co. Ltd. in September 2007. Other sections from this book appear in the articles “Sagawa Yukiyoshi, Masaru Takahashi and Breath Training in Daito-ryu” and “Strange, Odd and False Theories of Aiki“. You may wish to read part one of this article before continuing. “Deflect the opponent’s attack” – the first basic principle of Aiki is “the combined force vector”. 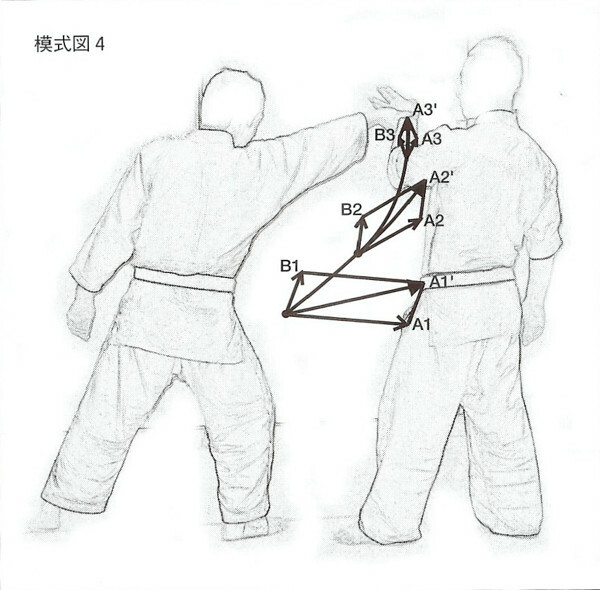 When the opponent on the left grasps our left wrist with their right hand as in Figure 2 (See Part 1 of this article), we designate this pushing attacking force as A1 and the force deflected by our left wrist as B1. As in Figure 4, the direction of the pushing attacking force of the opponent A1 is deflected upwards by the slight force B1 and becomes A1′, in which the angle is just slightly altered. The A1′ attacking force faces in a direction that cannot act upon us. Even in this position that has been deflected upwards the opponent continues to push. We will designate that force A2. From that position we designate the slightly upward deflecting power as B2, and the opponent’s power is deflected even further upwards, where we designate it as A2′. In this way we gradually deflect the opponents force upwards, the force becomes gradually weaker, and we designate the point at which the arm finally becomes fully extended and the force becomes exhausted as A3′. “Deflect the force of the opponent’s attack” – the second basic principle of Aiki is “the principle of the lever”. As in Figure 5, the opponent on the left is grasping our left hand with their right. 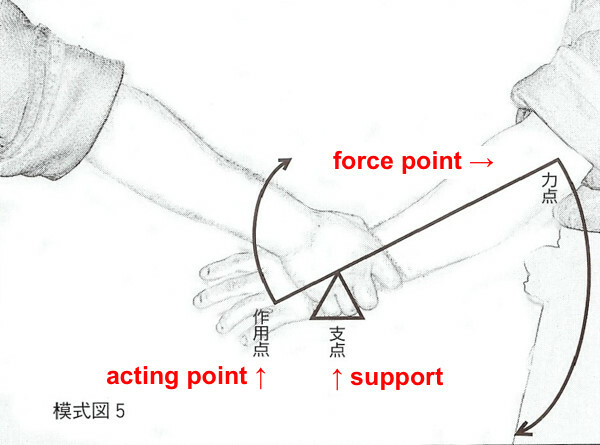 At this time we make the area grasped by the opponent the “support”, and if we rotate the right elbow (the “force point”) downwards then the thumb side of our hand that touches the thumb side of the opponent’s hand becomes the acting point and a great amount of force is brought into action for advantage as the left hand rises upwards. An approach to Aiki through simple anatomy. The basic mechanical principles of physics are necessary in order to apply Aiki, but they alone are insufficient. 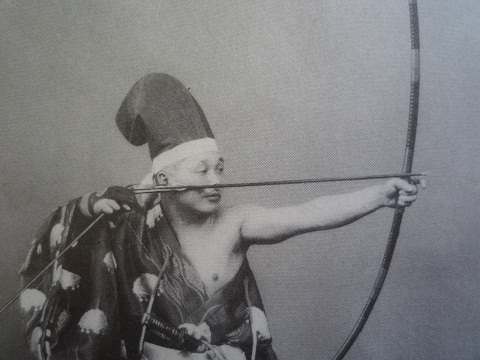 Whether applying the “Aiki of Defense” (防御の合気) or the “Aiki of Offense” (攻撃の合気), it is necessary to have knowledge of the anatomy of both oneself and the opponent. What part of the hand that has been grasped do we use to attack the opponent’s grasping hand, and at what angle? Where do we move our feet in order to move effectively, and how do we manage our body? As discussed above, in order to manage a large force with a small force one must analyze both oneself and the opponent anatomically, and while remaining conscious of each individual section of the enemy’s muscles and skeletal structure, instantly work out the point of attack, angle, direction and footwork. Sagawa sensei often said “think of the angle”, and I think that his meaning is applicable here. 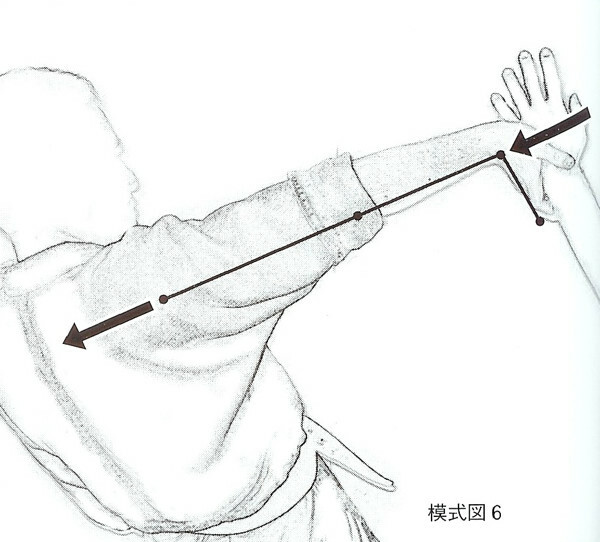 Figure 6 is the Aiki-nage from Figure 1 (See Part 1 of this article) from an anatomical approach. First, exhaust the power of the opponent, destabilize them by luring their posture forward and upward into a position in which Aiki has been applied. At this time the joint of the wrist in the opponent’s upper limb is bent backwards, the elbow is extended so that it cannot bend, and the upper limb is frozen into a single solid rod. When you add attacking power to your palm in this state the power added to the terminus that is the palm is transmitted through the single solid rod to directly attack the joint in the shoulder and then extends into the upper body and throughout the entire body. Then the opponent can be thrown backwards with just a slight action of a part of the wrist, without even sweeping the legs. 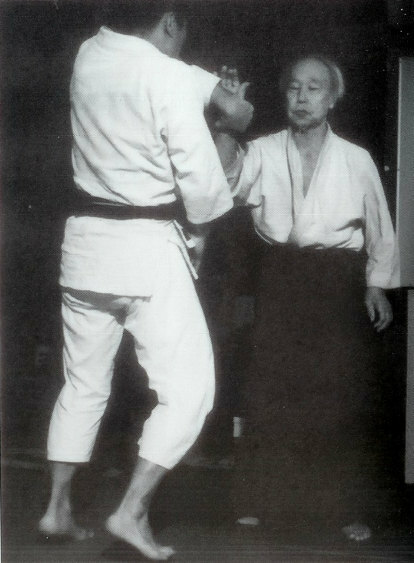 Freezing the opponent’s arm into a single rod is one of the secret methods of Aiki. 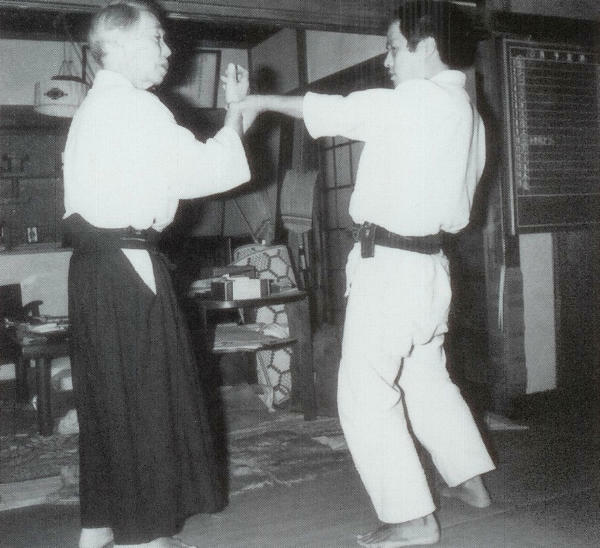 What I have explained here is no more than one of the many methods of Katate-dori Aiki. 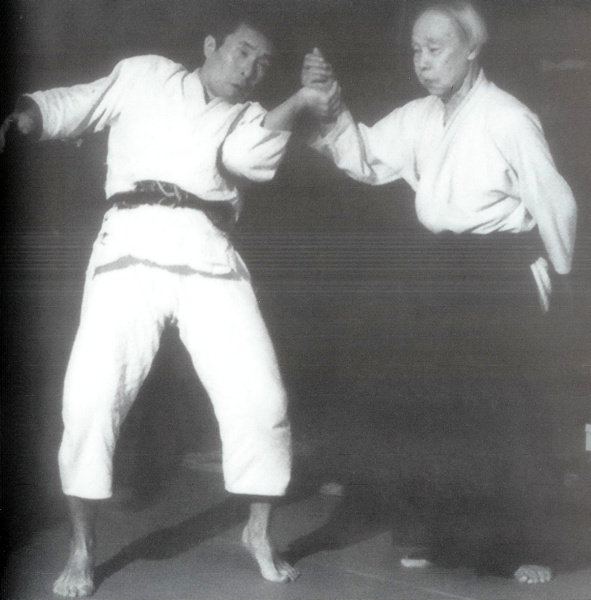 However, basically speaking, Katate-dori and Ryote-dori Aiki, and all of the technical methods of Aiki, can be analyzed through simple basic mechanical and anatomical principles. An approach to Aiki through neurophysiology and psychology. As I stated previously, Sensei’s Aiki was not achieved simply through basic principles of physics and anatomical knowledge. How do you grasp, push or pull the opponent’s hand so that a response occurs in the enemy’s musculature and the arms stiffens up in an instant? Alternatively, how can the power of the enemy’s hand be removed? What he knew as a result of that research can also be found in many of the conclusions of the neurophysiological study noted previously (“Unconscious muscular movement as a response to specific stimuli”). He also researched into the psychological timing for defense and offense in the art of war. Accordingly, the physical and anatomical explanations of Aiki given so far are no more than the underlying foundation, they are not the complete explanation. Thanks Bill, I’m glad that you enjoyed it! Thanks for making this available, Chris! Glad you enjoyed it Jon! Working on Part 3 right now- glad you enjoyed the first two sections. Thanks again for the excellent translation! Thanks for the link Alun!